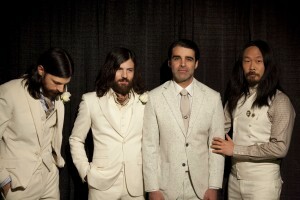 Musikfest announced this morning on Philly’s WXPN, which features an eclectic mix of rock/blues/folk, that the Avett Brothers will be headlining a show at the festival on August 7th. The Avett Brothers, whose widely regarded and chart-topping brand of folk rock have topped charts, released their 8th album, Magpie and the Dandelion, last month. The explosion of acoustic rock bands, like Mumford & Sons, have helped propel the Avett Brothers to broader audiences. Tickets for the show are $40-$50 and go on sale December 6th.